The group is interested in the positioning of women in trade unions for a number of reasons. Of particular importance to the RG is the fact that, although increasing numbers of women are joining trade unions around the globe, this membership increase is not reflected in trade union leadership positions. The group has conceived, developed, and is implementing a database that is specifically designed to track the positioning of women in trade union leadership and other positions of authority within the labour movement. A driving force is to develop trade union consciousness about gender democracy deficits and to consider further action to close the gender gap. This driving force has its roots in the Freirian concept of conscienzitacao, and the group’s commitment to praxis. The combination of consciousness raising (conscienzitacao) and the translation of theory into practice in order to bring about social change, or praxis, has long been at the heart of feminist academia (Ledwith, 2012: 343). 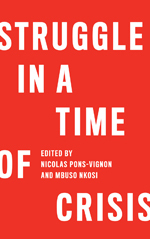 While there has long been an acknowledgement of the ‘crisis’ in the trade union movement, most activists and union leaders spend their working lives dealing with the most proximate, urgent issues – there is not often the luxury of time for reflection on what the union should be and become. Using interactive research methods can allow both academics and activists space to reflect on these issues and perhaps make some progress in strategic thinking. Voss and Sherman (2000: 311-312) found that changing internal union demographics resulted in unions actively changing the way they organised workers, resulting in myriad positive political and industrial changes including “focusing on issues such as dignity and fairness in addition to material concerns”. It is this internal change as part of trade union renewal that our research seeks to contribute to in very practical ways. The pilot was carried out by asking the 15 members of the RG to submit both quantitative and qualitative data on their own trade union organisation – whether a local or national trade union, or a trade union confederation. This information was collected through an online survey. The present questionnaire is an adapted version of that previously used in face to face interviews by the RG members in compiling their previous case studies. This was done to provide a connection to that previous research, and to ensure consistency as far as possible, given the differing methods of data collection. Our first set of static data was downloaded into Excel format then re-formatted. The proportion of female members within each organisation, and where women were (or were not) in the leadership of those organisations was analysed. Of those who had the data, women’s membership ranged from 40% to 77.33%. The proportion of women on the main decision-making bodies, however, does not reflect these membership figures. While in Australia women make up 77% of the Health Services Union membership, they are only 50% of the membership of the National Council and National Conference. Of the six entries, only Australia and New Zealand could report any female union presidents, although with Gambia these 3 entries reported at least one female vice-president. As previously stated this is not a full exercise in data collection; however, given these responses it appears that even where women are a majority of the membership of our unions they are not represented by the leadership structures in the same proportions. Over the past few decades some successes have been achieved in moving collective bargaining onto gender specific topics through the creation and use of separate women’s structures and caucuses (Britwum et al., 2012: 57). The compilation of data on where and how such structures are used could be a powerful tool in allowing “best practice” to be shared amongst the RG, as well as considering whether there are particular cultural or political issues which may affect the success or otherwise of separate women’s spaces within our unions. The structures discussed were: National Women's Committee; National Women's Conference; Affirmative Action positions for National Executive; Affirmative Action positions for National Congress/conference; Targets for women's representation on National Executive; Targets for women's representation at National Congress/conference; Targets for women's representation on workplace bargaining teams. Of the four organisations represented in the response the Zambia Union of Financial Institutions and Allied Workers (ZUFIAW) had all of these structures, but the Zambia Congress of Trade Unions (ZCTU) has only a National Women’s Committee and Conference. Further, in the ZCTU the structures which were in place were judged ineffective; whereas all the ZUFIAW structures were thought “effective” or “very effective”. So even within one country there is no “labour movement” approach to increasing the participation of women through separate structures. The other responses were about Ghana where all structures were in place, but National Women’s Conference and National Women’s Committee were “ineffective”, and Australia where no structures were in place at all. The RG spent some time at the Summer School at Cajamar, Brazil discussing our own thoughts on the output of the pilot, and the feedback we had received from other GLU colleagues. To deal with the technical limitations in sharing data in a formal “database” the intention is that the data collected through the online survey will be presented on an open website. The intention is that the data produced will not only become more in-depth, as more people become involved, but also give us time series data for longitudinal studies. To maximise comparability of data we have agreed this should be in respect of national peak union bodies, and their affiliates. While this may prove an initially difficult process, we are confident that the on-going process of data collection will provide a valuable source of information for academic activists and activist academics seeking to renew and revitalise the global labour movement. The database will be updated either bi-annually or annually with the intention of allowing longitudinal study on the gains made by women in the leadership of trade unions in the home countries of those participating in the research. It is also hoped that any gaps in the data will identify space for new research and for activists to press their own organisations to conduct data gathering on the position of women. This research draws on and contributes to trade union renewal literature that demonstrates the false characterisations of the “normal” trade union member and, by disrupting such understandings, looks to contribute to the renewal and growth of trade unions. As discussed earlier, there has been much written on the need for trade union renewal and revitalisation, and looking at the continuing lack of success in increasing the membership and the density of trade union coverage; particularly in the liberal market economies of UK, Australia, New Zealand, and USA there must be a certain acceptance of the crisis of legitimacy put forward by Dufour and Hege (2010). It is our hope that this database can be used as a concrete basis for activists and academics (and academic activists) to frame their strategies and policies for change within their unions and federations; those strategies being to further the cause of greater and more relevant representation of the female membership in unions; and that in turn this change pushes further transformation within existing hierarchies to create space for new and broader membership in the labour movement. The transnational alliance which has formed in this RG, made up of alumni of the Global Labour University (GLU) must be seen as a particularly sound example of the type of feminist political discourse and space discussed by Franzway & Fonow (2011) which has opened up allowing its members to engage as transnational political actors; and hopefully to develop themselves and others as the future leaders of the global trade union movement. The existence of the GLU in general, and the Alumni network in particular are valuable spaces for the development of global discourses whose contribution to the push for progressive social policies worldwide should not be diminished. The full dataset is available at this link: http://gender-tus.wikidot.com/ . 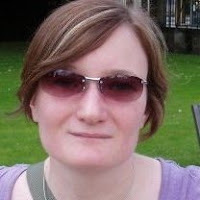 Carol Jess is a PhD candidate with the Industrial Relations Centre at the Victoria University of Wellington, New Zealand. Her research is on strategies for trade union renewal. In addition, she works with the GLU Alumni Research Group on Gender and Trade Unions. This column could not have been written without the contributions of all the members of the Gender & TUs research group. In particular the guidance and advice of Akua Birtwum and Karen Douglas in the drafting and writing of the column was essential.